Deteriorated wood cornice under roof line has been renewed. Stucco still remains on portion of stone front. Rusty tin roof replaced with wood shingles. Front porch has been rebuilt. 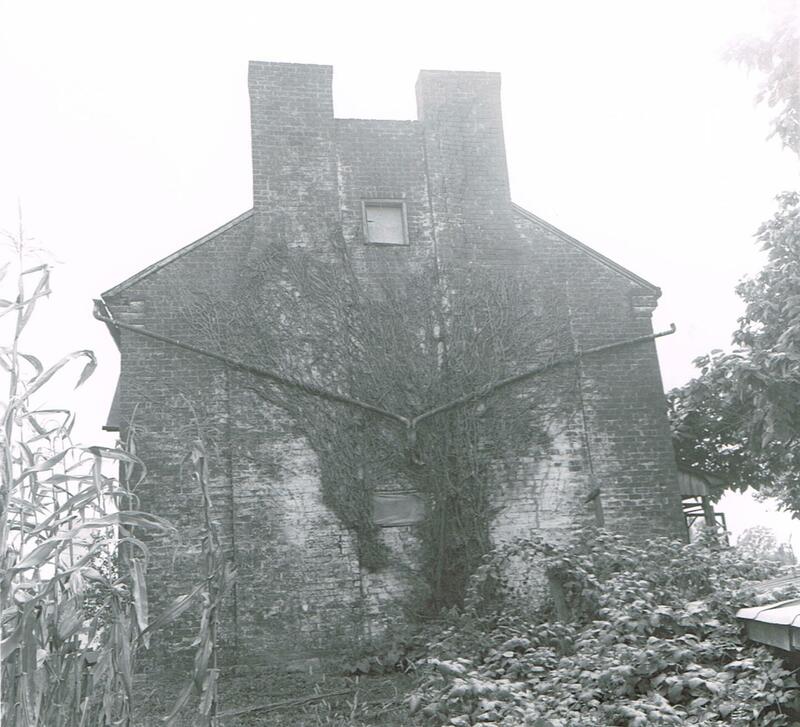 chimney wall due to vegetation,etc. Note small window between chimneys in attic. Old gutters and vines removed from chimney side. Paint on brick wing to match the original light yellow color. 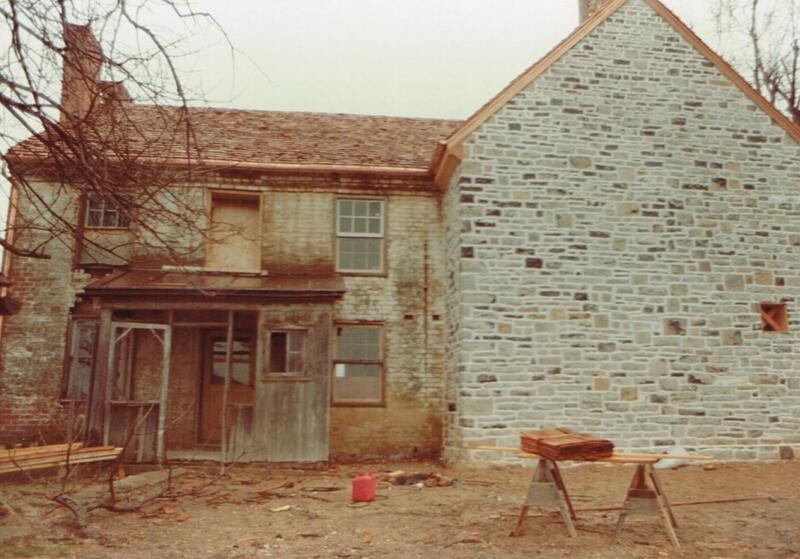 Original East stone wall of 1749 house dismantled to be built back, due to the original wall shifting from midpoint. ​ East rear porch which is missing needs to be replaced. 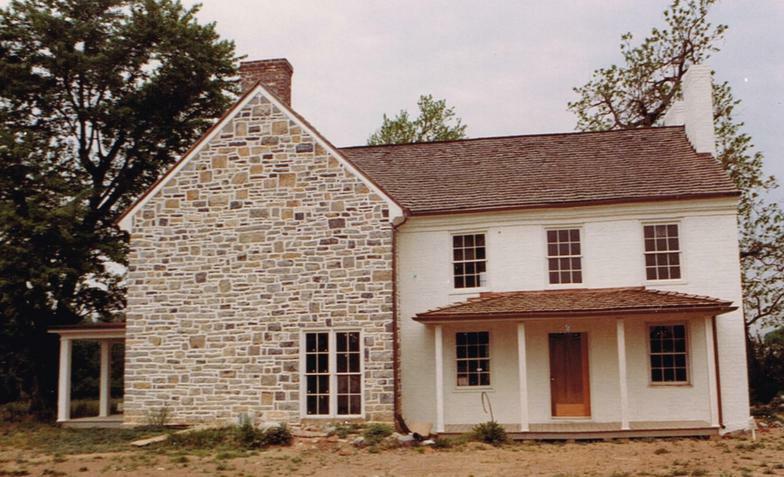 West side of 1749 stone wall rebuilt. Side porch replaced on brick addition. 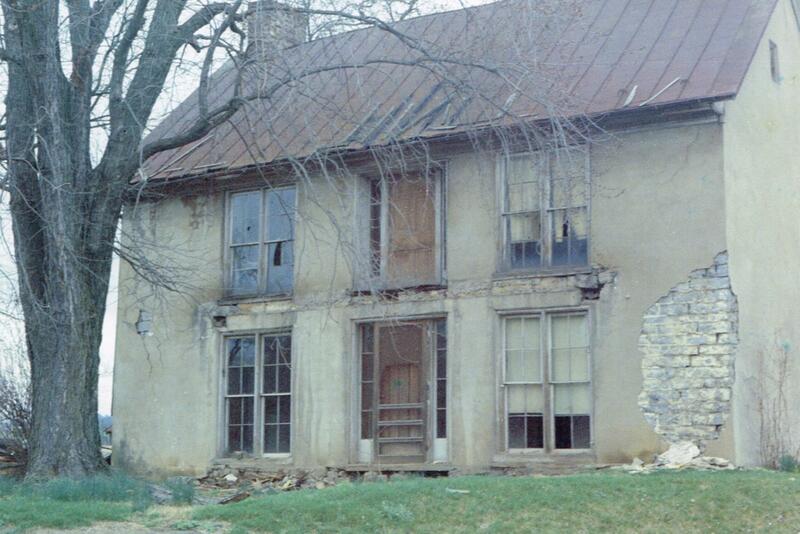 The Daniel Harrison House is one of the oldest houses in the Shenandoah Valley and is closely associated with the early history of Rockingham County. 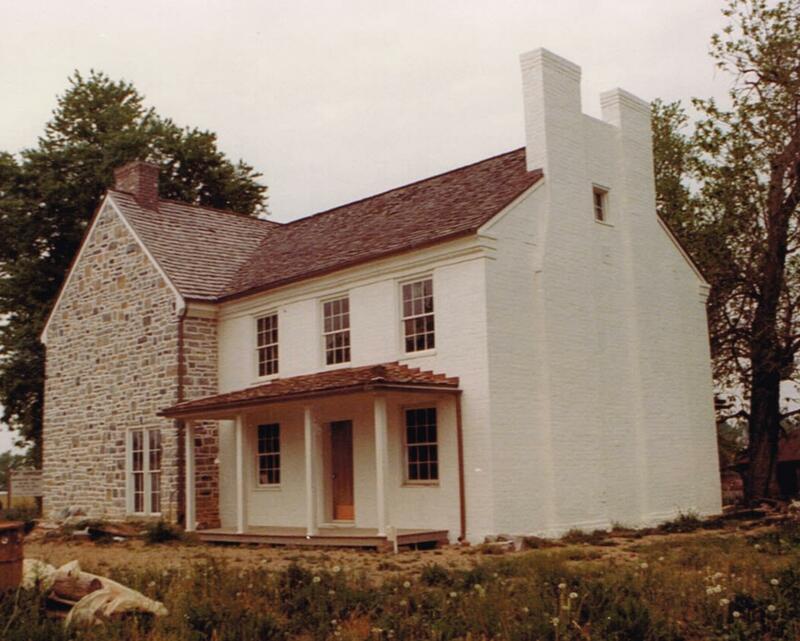 Daniel Harrison settled near the headwaters of Cook's Creek and built his massive stone house around 1749. He and his brothers were prominent members of the community. 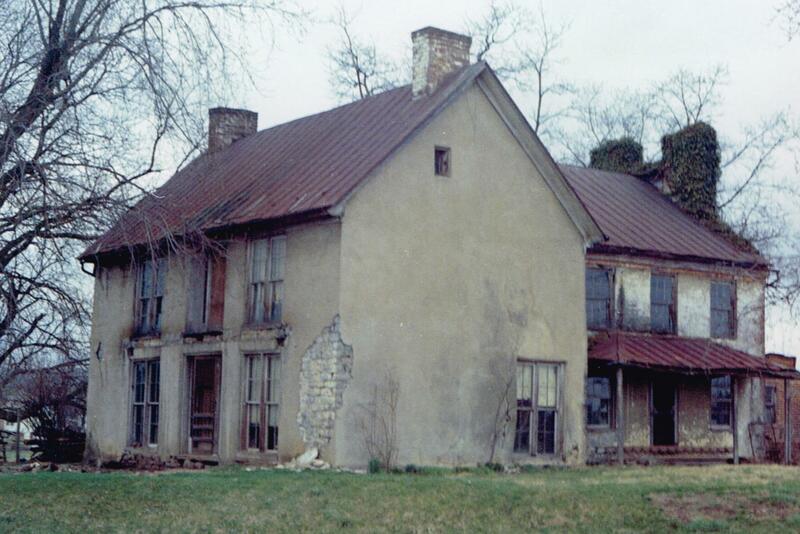 The house remained in the Harrison family for many years and was sold out of the family by Dr. Peachy Harrison in 1821. 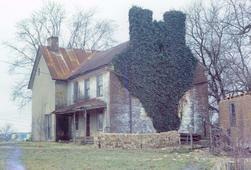 The property then passed through many owners, the last being the Koogler family. 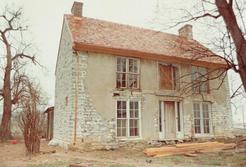 In 1978 Fort Harrison, Inc. was organized to purchase the house and restore the property. Original limestone revealed on southeast corner. Remains of front porch roof can be seen between first and second floor windows. Wood cornice has deteriorated and separated from the stone wall. Organization of Fort Harrison, Inc. 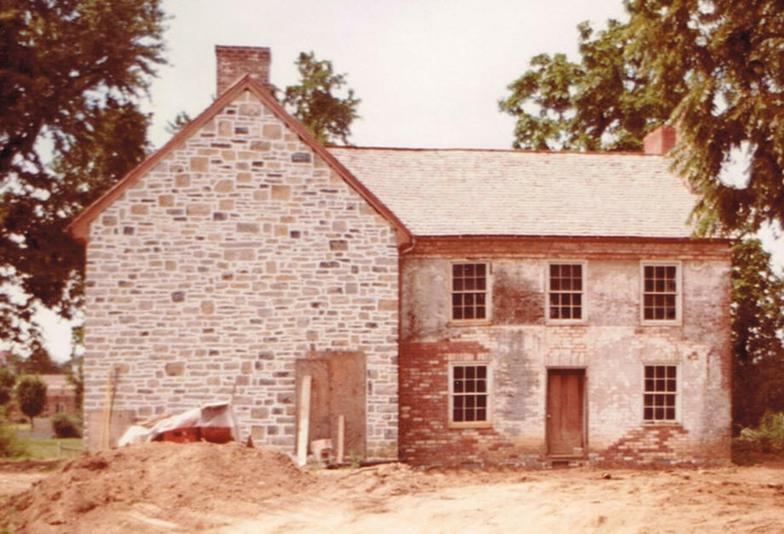 In 1978 a non-profit corporation to be known as Fort Harrison, Inc. was formed in order to purchase the Daniel Harrison House and restore the property. 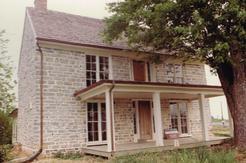 The house and grounds were purchased from the Koogler family which had owned the house for many years. Restoration of the exterior began immediately. After the stabilization of the basic structure, work on the interior of the building began. In spite of a rusty tin roof and the lack of functioning gutters, the interior of the house had received little water damage. The woodwork, floors,fireplace mantles and stairs were in good condition. 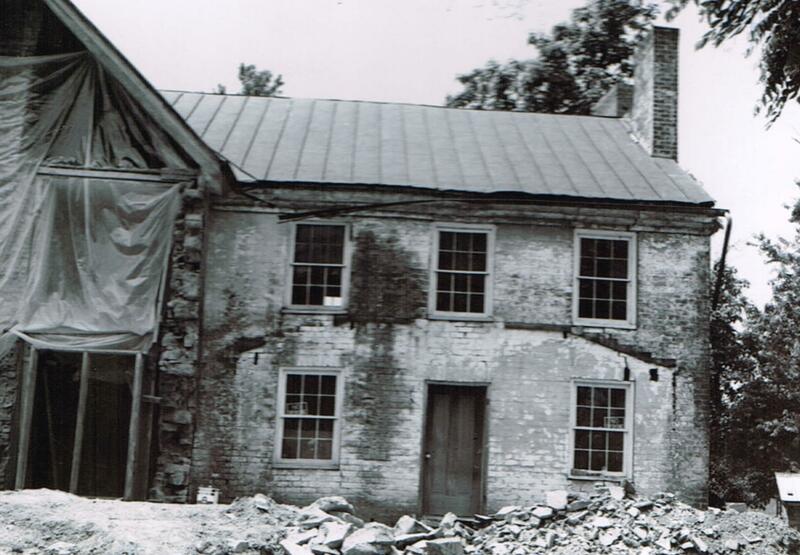 ​ Today, Fort Harrison, Inc. continues its purpose - to maintain this old frontier house as a reminder of the pioneer spirit and rich heritage of the Shenandoah Valley. 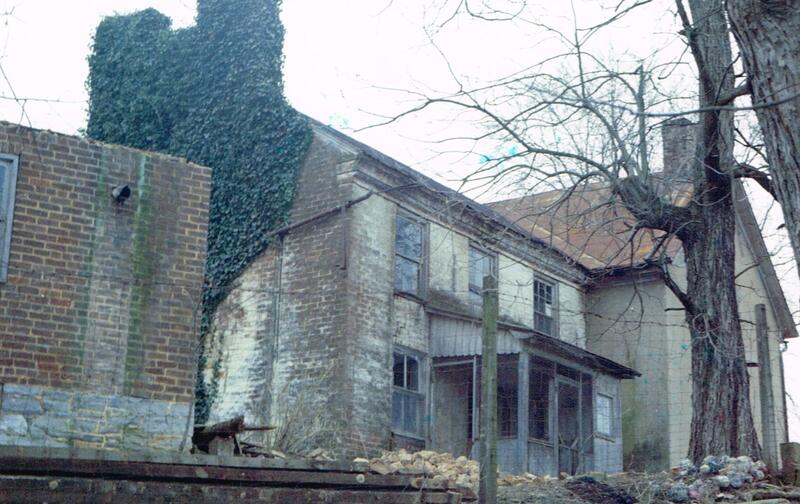 Rear porch, which is not original, will be removed and replaced. 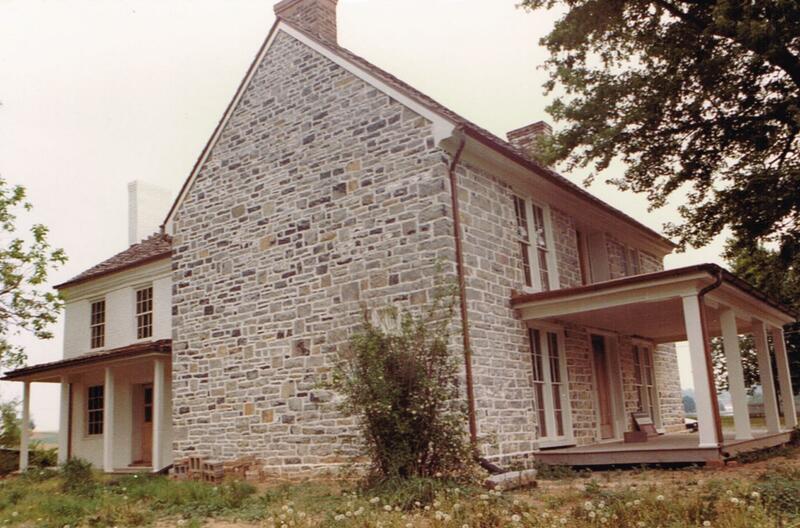 West stone wall has shifted from its midpoint, perhaps after stone fireplaces were removed around 1860. Note brick corner of the summer kitchen to the far left. End wall of the brick addition is pulling away from the house.Upper one third of the west chimney has opened along the outside and allowed water to enter.